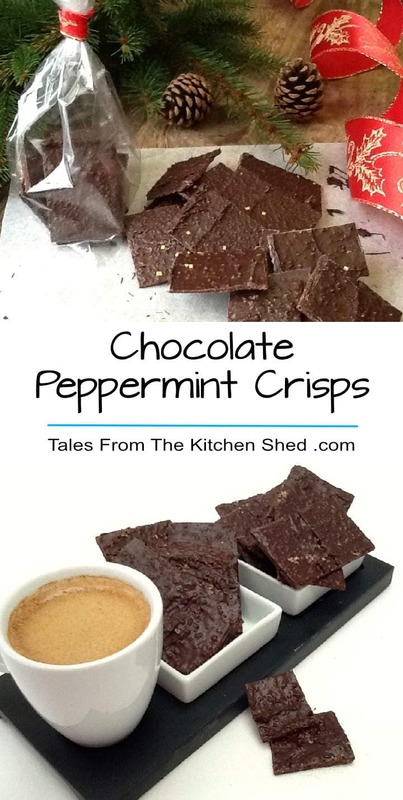 This little chocolate peppermint crisps are so easy to make and if you can resist eating them all, they make a perfect hand made gift. Whilst I love chocolate mints, I find the fondant in the middle of After Eight type mints to be a little too sickly sweet following a meal; my preference is for a cleaner, crisper mint. 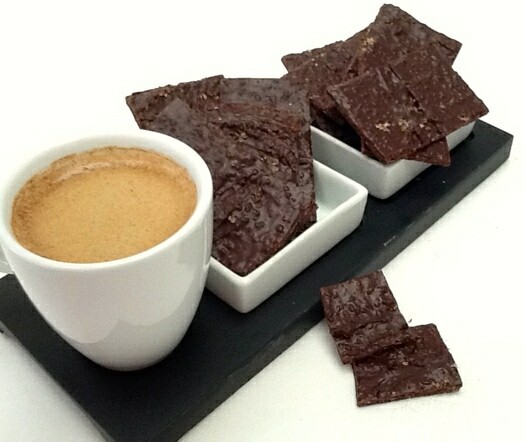 As well as complimenting an after dinner coffee, these minty little treats can be enjoyed at any time of the day. To ensure an ideal snap to your mints, it’s worthwhile (but not essential) using a sugar thermometer to temper your chocolate. Ironically, on the day I made this batch of mints, my thermometer’s battery was failing and I couldn’t get a proper reading. Not wanting to be put off, I waited for the chocolate to completely melt, removed the bowl from over the pan of water and then kept stirring until the chocolate had cooled a little before “testing” the temperature with my finger. Make sure your bowl doesn't touch the water or your chocolate will seize. Place your demerara sugar in a small bowl and sprinkle your peppermint extract over the top of the sugar and stir well. Break your chocolate into pieces and place in a heat proof bowl over a pan of simmering water. Once your chocolate starts to melt, give it a stir. If you are using a thermometer, remove the bowl away from the pan when the chocolate temperature reaches 53°C. Otherwise, remove the bowl of chocolate from the pan as soon as the chocolate has completely melted. Stir the chocolate until it cools down a little, to around 26°C. Have your piece of baking parchment ready to spread the chocolate mix and add your peppermint sugar to the chocolate and stir to mix. You need to work quickly at this stage as the chocolate goes really thick. Pour the mixture onto the baking parchment and spread the chocolate mix as thinly as you can with a spatula or a palette knife. You don't need to worry about getting too smooth a surface. Leave to set for about 10 to 15 minutes - the timing depends how warm your kitchen is. Using a large sharp knife cut into rectangles of about 2" x 1" or larger if you prefer. Leave to set completely. If you don't have a cool place to leave your chocolate peppermint crisp, leave it to set in the fridge. Once it has set, carefully peel back the baking parchment from the chocolate and break into the pieces as you go. 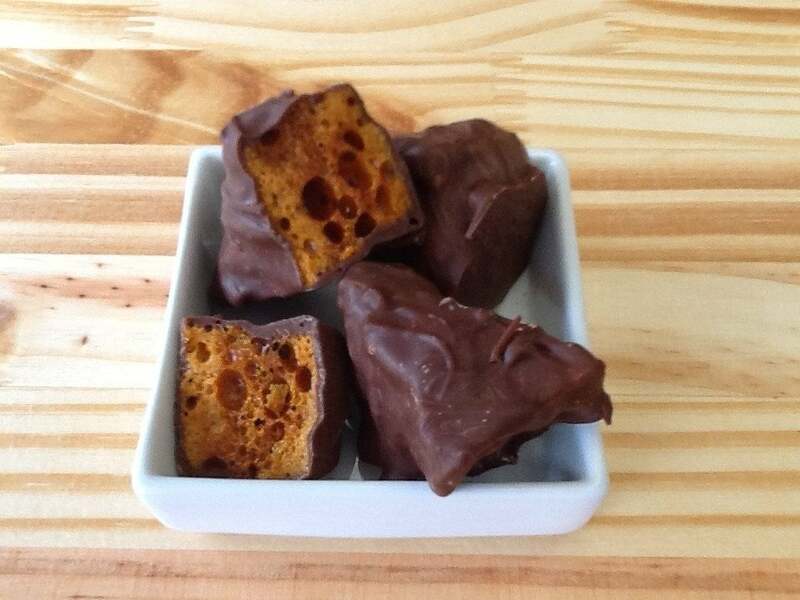 If you like making your own sweet treats, why not have a go with my Best Ever Honeycomb? 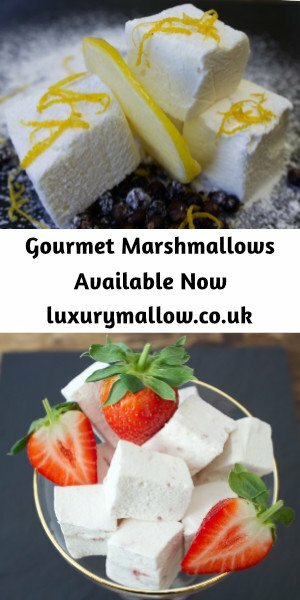 Thanks Lucy, you’re right, you can’t stop at one, I’ve making some more tomorrow, ours have all gone! Another fan of the sugar crunch here! These sound very addictive. Hello fellow sugar crunch fan 🙂 They are addictive, I’m making some more at the weekend. 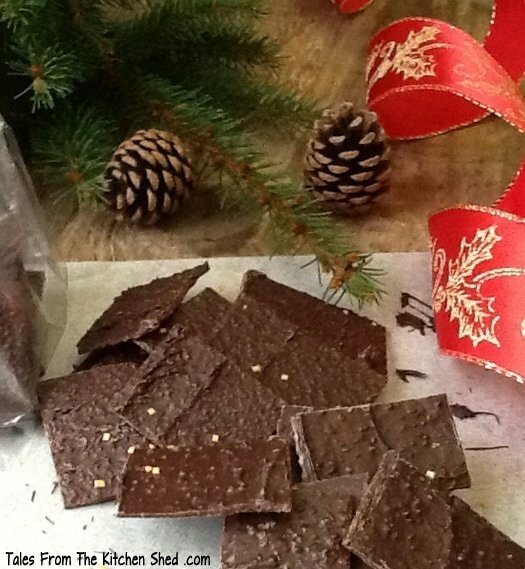 Thanks Sarah & it’s a pleasure to share with #FestiveFoodFriday.